For this article, I will discuss why you should invest in watermelon farming, and how you can start your own watermelon farm in no time. 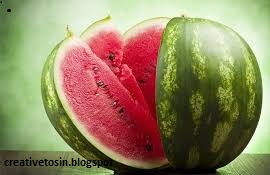 - High Turnover:- It takes a watermelon eighty five days to get to maturity from the planting date. This means you can have three sets of harvested watermelon fruits for sale within the year and if you started out the business on a large parcel of land, then you are sure to get huge returns on your investment. - There is a Ready Market for Your Produce:- Watermelon also contains some enzymes that help to fight against cancer causing cells in the body; you see why there will always be a high demand for watermelon. - Watermelon Is Pest Resistant:- This means that watermelon plant is resistant to pests and diseases that usually affect plants; you will not need to spend much on greeting ride of pests from affecting the watermelon. - Very Easy to Start:- As long as you have the land space needed for the farming, you don't need much of other things to get your watermelon business up and running; you don't need much technical knowledge to run a watermelon farm. - Large Expanse of Land; Each watermelon plant is called a vine, and the vines get to spread out as they mature and they need space for the plant to bear bigger fruits. I will talk more on the space needed for a watermelon plant to grow well. 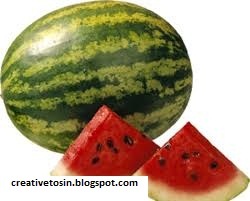 - Sunlight: A watermelon plant requires of sunlight to grow well. So the land space must be in a location where there is adequate sunlight to nurture the plants. - Good Seedling: The type of seedling you use will affect the output or quality of watermelon fruits your plants will yield. There are very various varieties of watermelon species you have to make a choice of which variety you wish and carry out further research on how to handle the cultivation process before you embarked on it. 1. Get Your Land Space:- I mentioned earlier that you need a large expanse of land to successfully run your watermelon farm. The first step to take is to find the land you will need for the cultivation in a location where the watermelon plants can get six to eight hours of sunlight each day. 2. Source of Seedling:- The next step to take is to source for healthy watermelon seeding. Farmers that already run their own watermelon farm can supply you with healthy seedling to use on your won farm. 3. Begin the cultivation Process:- The cultivation process in watermelon farming is quite complicated as you need to plant the seeds in a specific way to give them better space to germinate. When planting the watermelon seed, each hole for the watermelon seeding needs to be 1 foot deep and over 1.5 feet wide. Cover the hole with fertilizer, place the seed on the top and push with you finger till it gets to at least 0.5 foot deep. For the spacing you should allow a space of 8 feet between each plant to allow the vines enough space to spread out when the plant begins to grow. If possible, do the planting when the whether is hot, up to at least 70 degrees hot, because watermelon functions better in hot weather. 4. Watering:- For the first few weeks after planting, you need to water the watermelon generously twice in a week, then reduce the watering to just once every two weeks as soon as the vines start sprouting out. This is to help increase the sugar content in the watermelon fruit. If a watermelon has a watery taste, that was because the farmer continued to water it consistently even after the vines started growing and didn't give it the needed space to absolve sugar from the soil. 5. Weed Control:- Since the watermelon plant is pest resistant, you need to focus more on getting rid of weeds on the farm; this can be done with herbicides. 6. Harvesting:- This is the part everybody is waiting because harvesting means that the sales and money making period is around the corner. I mentioned somewhere above that it takes a watermelon plant 85 days to get to maturity the question is: How do you know that your watermelon is ready for harvest? Your watermelon is ready for harvest when the fruit looses it outer shiny appearance and also when the part of the fruit that touches the ground changes to rich yellow color. At this stage of the article, I have covered various sub topics relating to watermelon farming including reasons to start watermelon business. Finally, watermelon is a fresh produce and you don't expect it to stay for a long time after it is harvested that is why you need to carry out a feasibility research in your location even before you start the farm to ensure that there is a ready market and high demand for your produce.